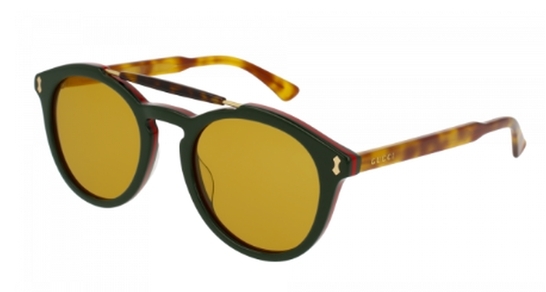 Gucci GG124S sunglasses have a sophisticated trendy pilot shape with a vintage «yuppie» feeling. A perfect genderless shape inspired from an intellectual and non conventional world. Handmade acetate with décor metal core wire and rivet.